How To Get A Job in Ibiza! Season after season, hundreds of ambitious newbies descend onto the magical island of Ibiza in hope to spend the summer season working in paradise! I mean who wouldn’t want to work on a beautiful Balaeric island in the Mediterranean sun anyway! So, if you’re thinking of making the big move abroad and experiencing a season in Ibiza for yourself then this post will point you in the right direction as to how to land yourself a dream job for the Summer! 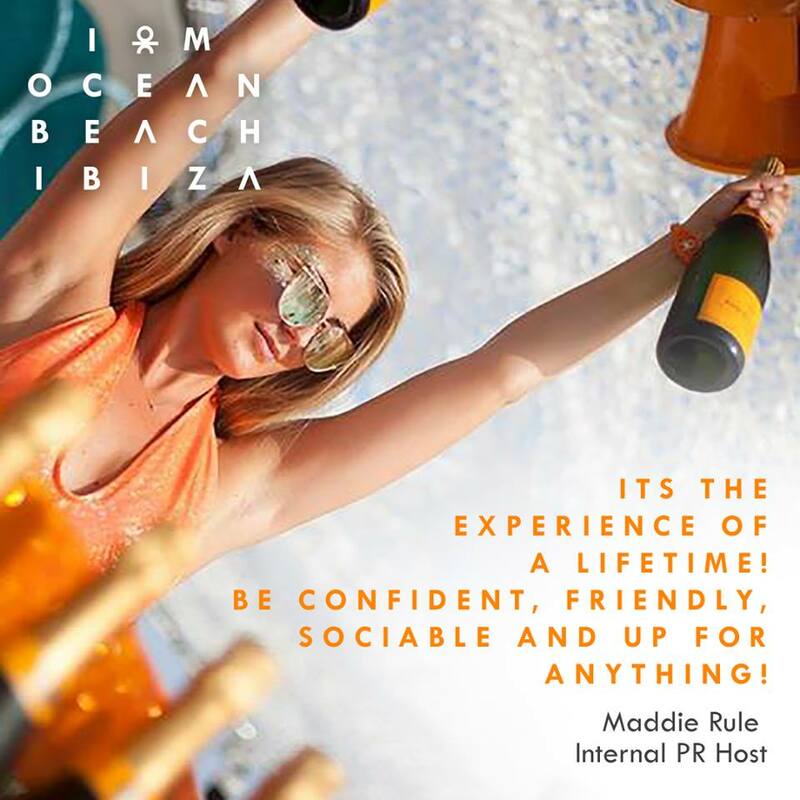 So who better than our very own HR & Executive Recruitment Manager, Isabella Szuturma Szablowska, to give her insight into the world of working abroad and her top tips on how to get a job here in Ibiza. – The season runs from the end of May until beginning of October. I would recommend arriving to the island a little earlier to secure a job and to get yourself settled. I would aim for mid April at the very latest to give yourself the best chance of finding your a dream job. – The places with the highest demand for workers are San Antonio, Playa den Bossa and Ibiza town, however the most popular for non-Spanish speaking people would be San Antonio. – To legally work anywhere in Spain you must have an NIE number & Seguridad Social number. These are the Spanish versions of your National Insurance number and without them you will not be able to work. – It can be a little tricky to get your NIE so you should start arranging your NIE number as early as possible! You can do this either once you are on the Island by making an appointment via https://sede.administracionespublicas.gob.es/icpplus/index.html or at the Spanish embassy located in Chelsea, London UK. – Your Seguridad Social Number goes hand in hand with your NIE. The procedure to obtain this number is much easier than the NIE and can be done once you’re on the island. All you need to do is take a trip down to Av. Pere Matutes Nouguero 16-18 Figueretes, Ibiza with your Passport and original NIE and you will then receive your Seguridad Social Number within the same day. !! TOP TIP: NIE appointments for 2017 will begin in Ibiza in 3 weeks time !! – We are looking for enthusiastic people with a minimum of 3-4 years experience in the hospitality industry. – Ideally, candidates would have experience from London, Dubai and Barcelona. bubbly, positive, professional and show us how much you really want to get this job! – We like to have international team so all nationalities are welcome as long as you are from the EU or has valid work permission. !! 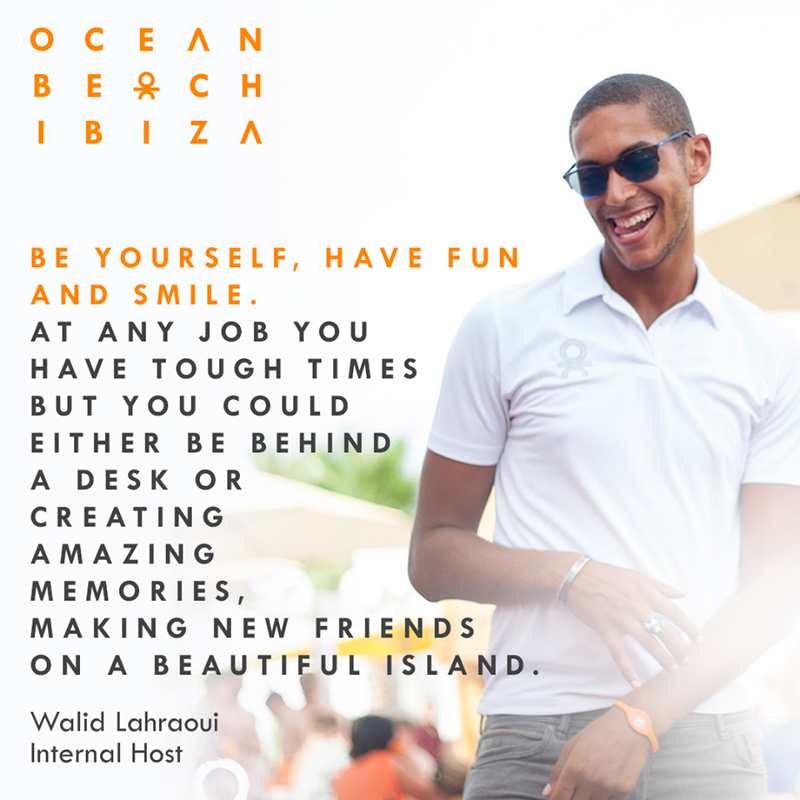 TOP TIP: O Beach Ibiza will be holding open interviews in Ibiza on 10th May 2017 ! !